Organisations can’t just treat digital as a piece of technology and expect it to work, they have to understand and embrace digital change at a leadership, structural and cultural level, Optus’ customer chief claims. 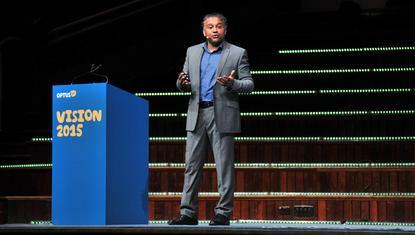 Speaking at the Optus Vision innovation forum in Sydney, MD of customer, Rohan Ganeson, detailed the telco’s ongoing journey to become a digital-first organisation, and the key lessons learnt along the way. One of the first and arguably biggest lessons is that digital can’t sit in a department, it must be a way of operating, he said. For Ganeson, there are four key steps to achieve digital success: Deliberate leadership; understanding the landscape; digital analytics; and making it happen. “You have to understand and embrace digital change at a senior level because executive leadership is crucial,” he said as a way of explaining deliberate leadership. In addition, organisations must understand digital in the context of a customer’s environment. “That will mean we will resist the temptation to shuffle the deck chairs and put someone in charge of digital that isn’t suitable,” Ganeson said. Another temptation, led by IT, is to build and secure technology capability, and Ganeson admitted to his fair share of debate internally to balance business speed with IT governance and integrity. But with myriad technologies out there today assisting organisations to better interact digitally with customers, partnerships with external technology providers is critical, he said. To help improve technology smarts internally, Ganeson said Optus sends a team twice a year to Silicon Valley to immerse themselves in emerging technology. The telco is also using a raft of technologies, from Lithium’s social community management tools to Optimizely’s optimisation capabilities and 247’s customer predictive analytics software, to improve how it digitally interacts with customers. While vendors also help provide the skillset and expertise to utilise and integrate technology effectively, Ganeson warned organisations against looking to solve the digital problem with a single platform. “You have to be able to mobilise the organisation and company so you can link these technologies together,” he said. Digital success also means allowing experimentation and adopting a ‘fail fast’ mentality, Ganeson said. To help, Optus has introduced ‘hands on Thursdays’, where staff can spend three hours every week thinking about ways to fundamentally change the way Optus operates and innovates. Optus has the goal of enabling 80 per cent of all interactions to happen digitally first. Ganeson pointed out 96 per cent of customers purchasing products via telesales have already been on its website, as have 87 per cent of those purchasing in a retail store. Better targeting customers is core to achieving this, and Ganeson illustrated how Optus has changed its marketing programs approach to put the focus on where customers are seeking information. One example is using Google powered local storefront pages to improve visibility and relevance when customers search online. Optus has also run a number of campaigns using Facebook Exchange to target customers at a much more granular level. These campaigns resulted in 10 times the ROI and a CPU of $97, a far cry from the average $300 CPU paid on mass blast media such as TV and newspaper advertising, Ganeson said. “It’s thinking about how to target customers in a way that’s more relevant to where they are, as opposed to thinking they are going to walk through your doors,” he said. In addition, Optus has been building a social community using Lithium technology as a means of getting customers to help other customers. Ganeson said this is where the telco has seen its highest NPS results. “We’re using social as a mechanism to change the way we segment the customer base,” he said. But without integration, all of these activities only give marketers a sliver of insight into the customer. That is where digital analytics comes into play for Optus, Ganeson said, along with understanding the customer journey. Core real-time data includes Web analytics, social, apps, CRM and third-party data sources, he said. Since getting its digital and analytics ship in order, Ganeson cited a 15 per cent improvement in conversion rates and a 20 per cent decrease in spend on advertising.